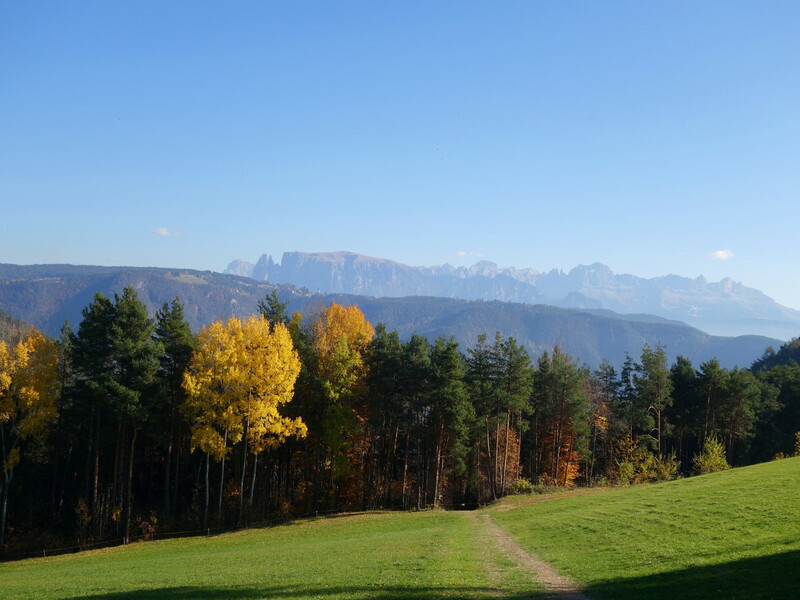 Autumn sights from the village of San Genesio on the Dolomites with the mighty Sciliar, Mt. 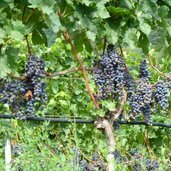 Catinaccio and Mt. 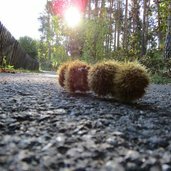 Latemar. 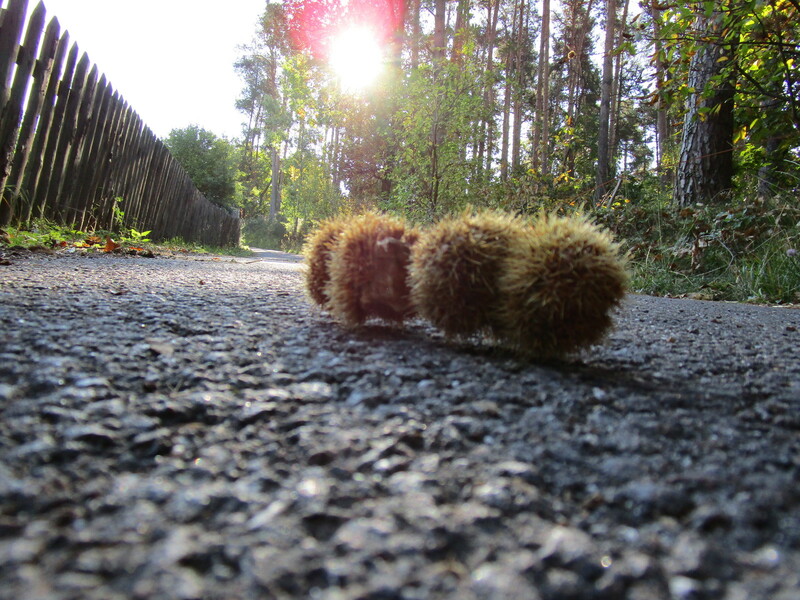 Chestnuts are roasted on open fire and served at the traditional Törggele evenings, taking place in October and November. 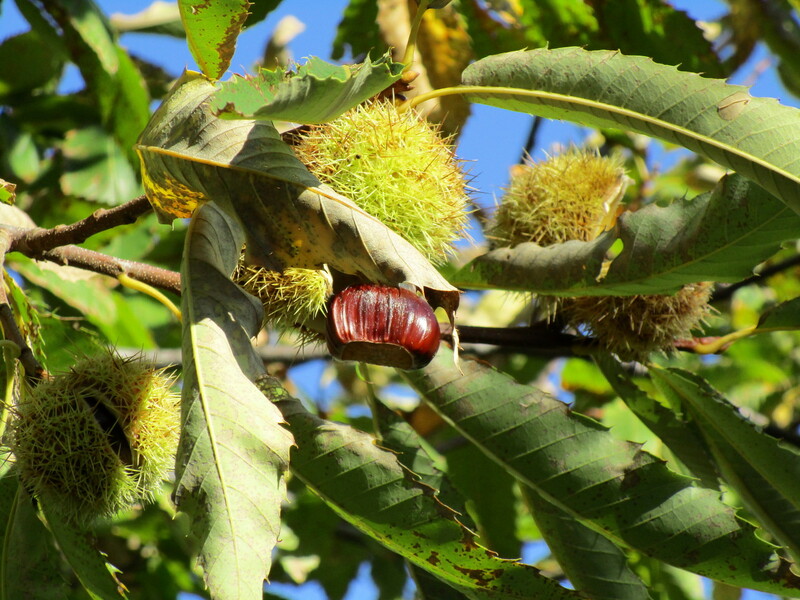 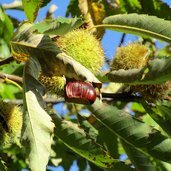 Also a Chestnut Trail can be found in South Tyrol - it connects the 60 km long sunny slopes between Bolzano and Bressanone. 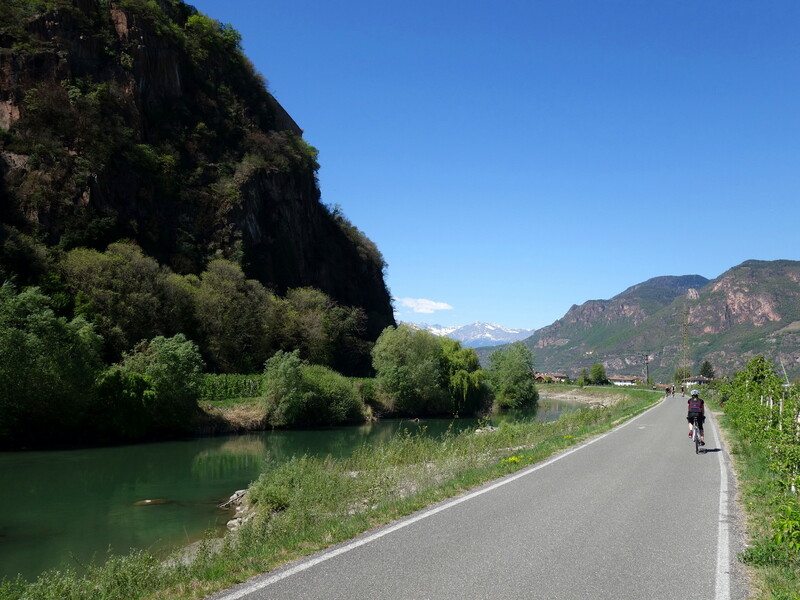 The cycle paths in the Valle dell’Adige valley and in the south of South Tyrol, here near Firmiano, offer perfect conditions in spring and autumn. 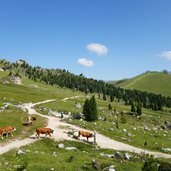 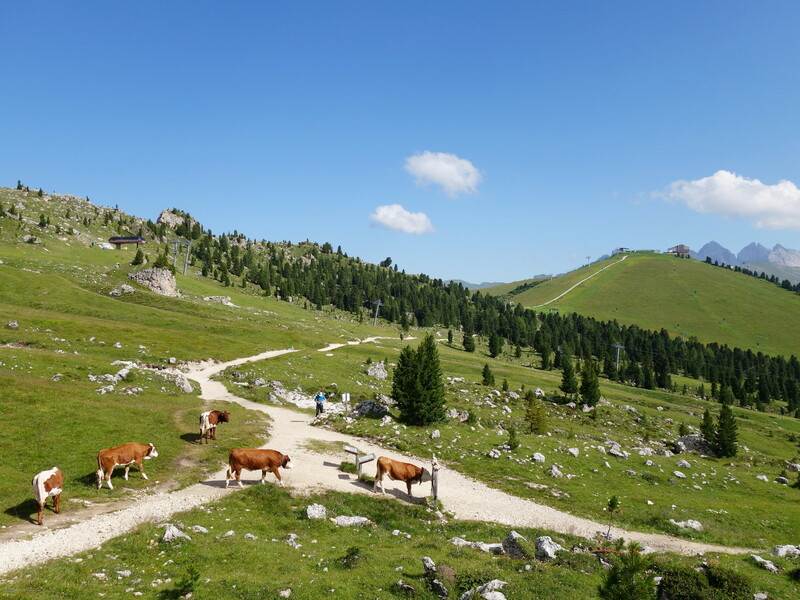 The cows spend the last days on the autumn meadows, here beneath the almost 3,200 m high Mt. 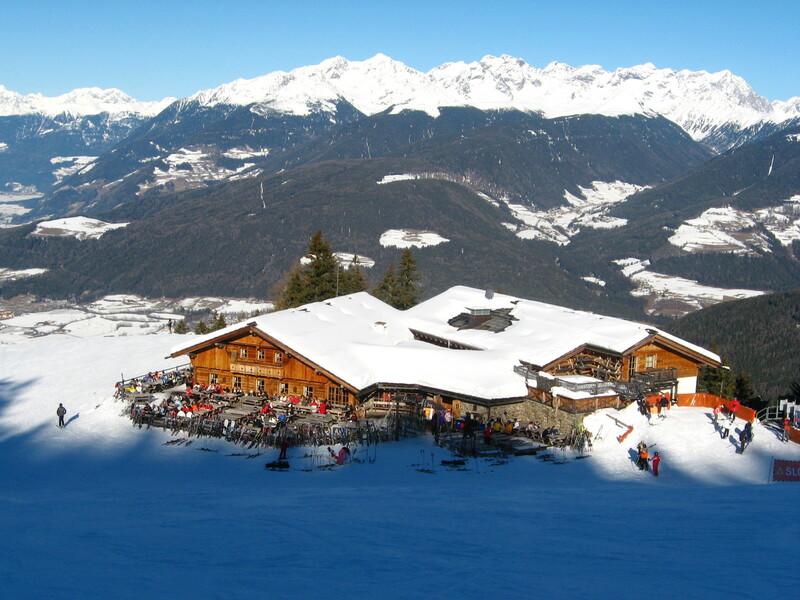 Sassolungo (Langkofel). 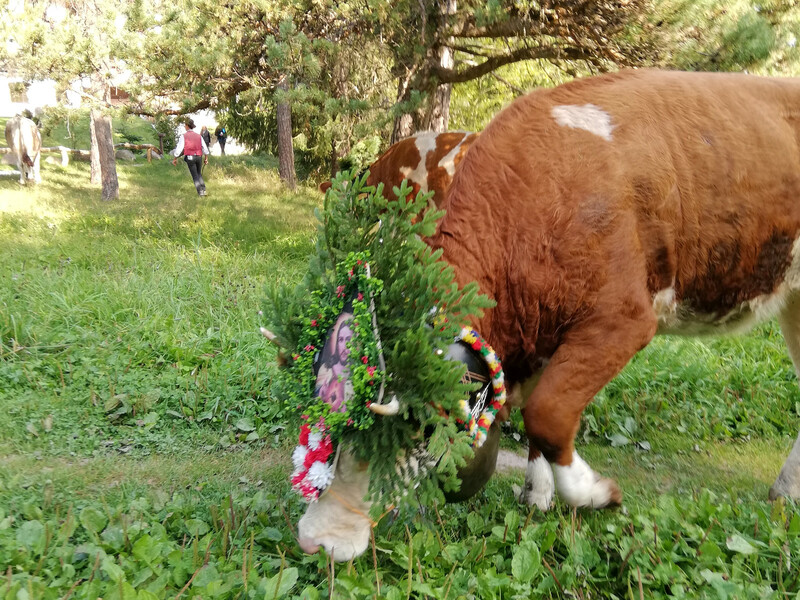 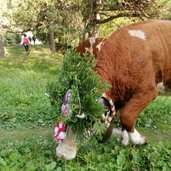 Afterwards they turn back to their stables for the winter months - the cattle drive is celebrated in South Tyrol with a traditional festival. 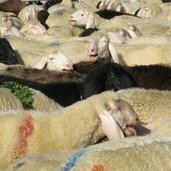 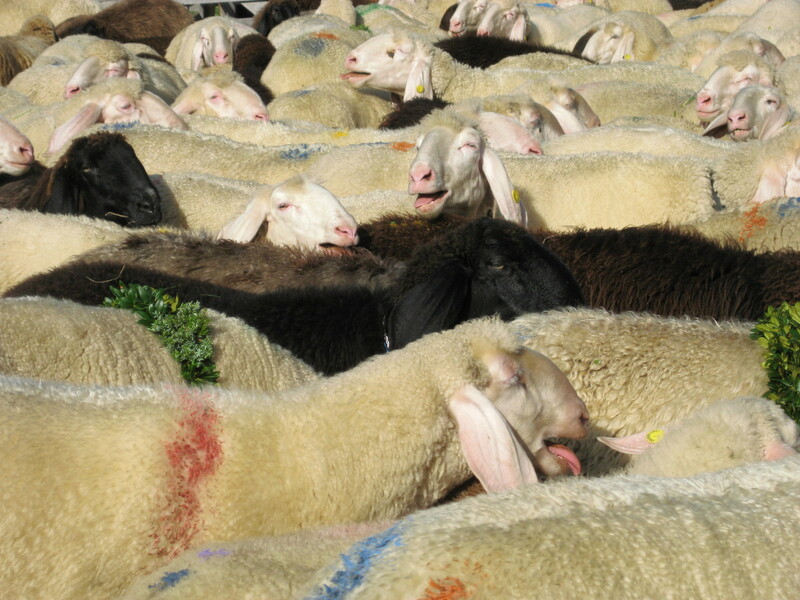 The return of the sheep in the Val Senales valley, called transhumance, is part of the UNESCO World Heritage List. 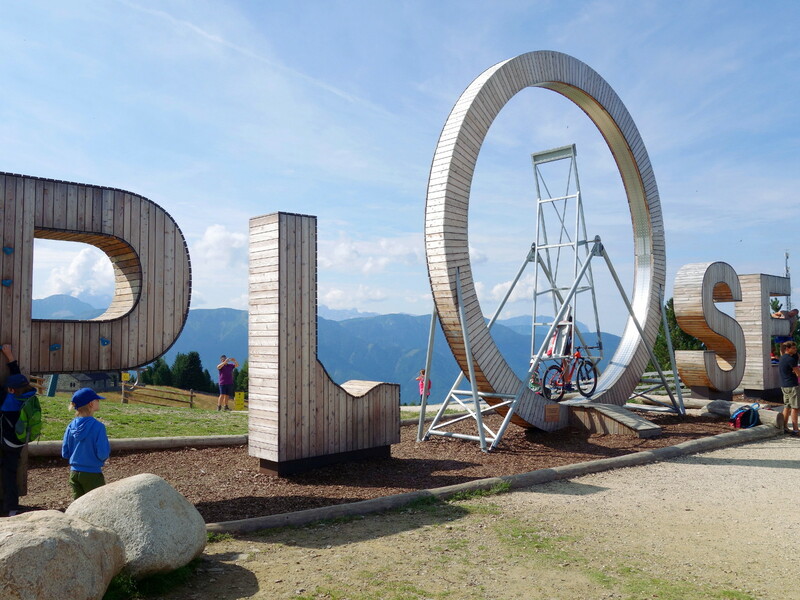 The cable cars stay open until autumn and take you to beautiful destinations, such as the Woody Walk on Mt. 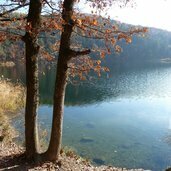 Plose. 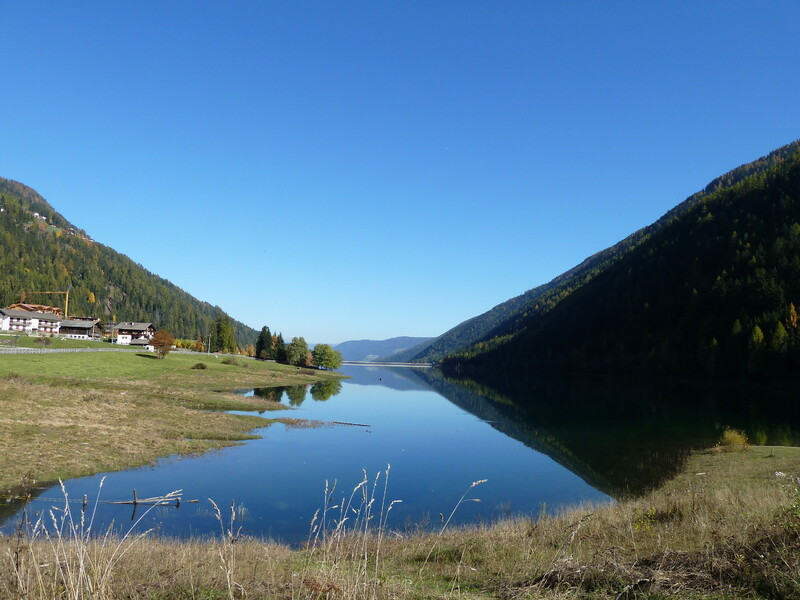 The sky is reflected in the waters of Lake Zoccolo - in the Val d’Ultimo valley, there’s the Farm Path, interesting from a scenic point of view. 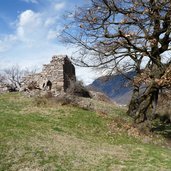 Monteleone Castle, with Mt. 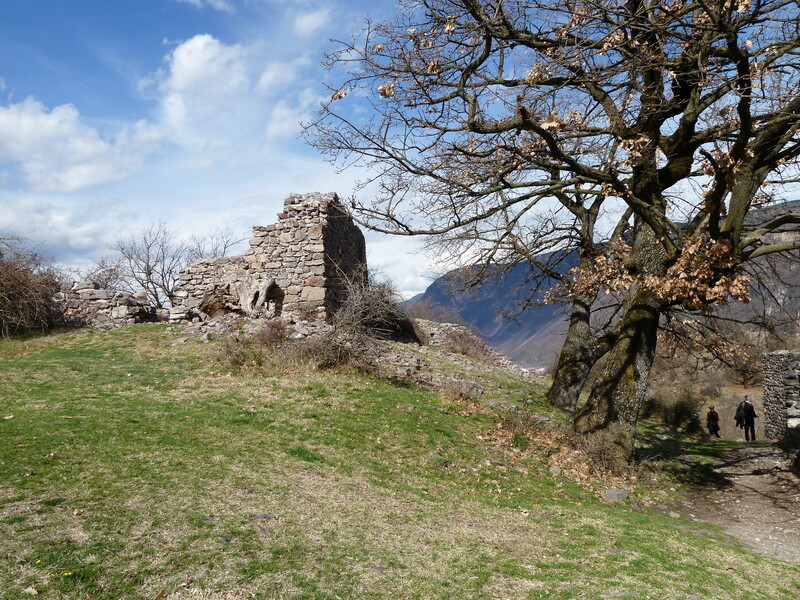 Punta Cervina (2,781 m a.s.l.) 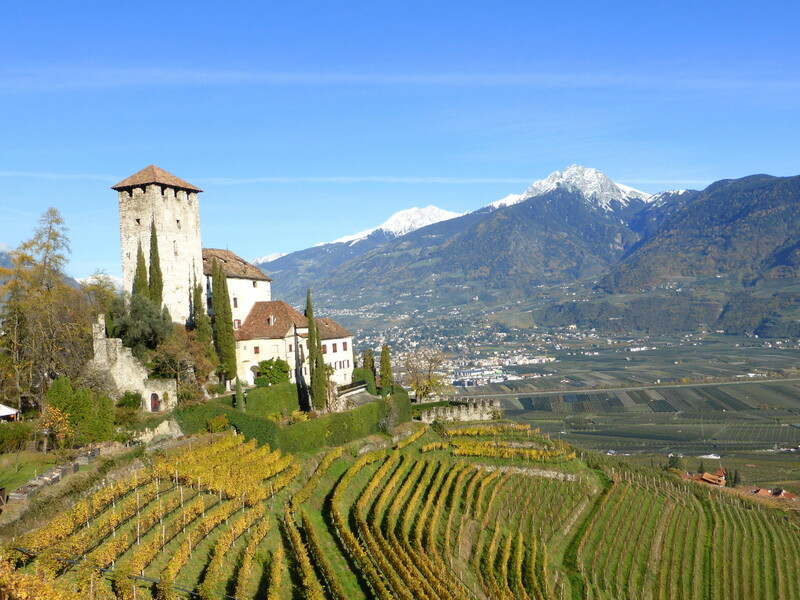 in the background, is one of the 400 castles spread all over South Tyrol. 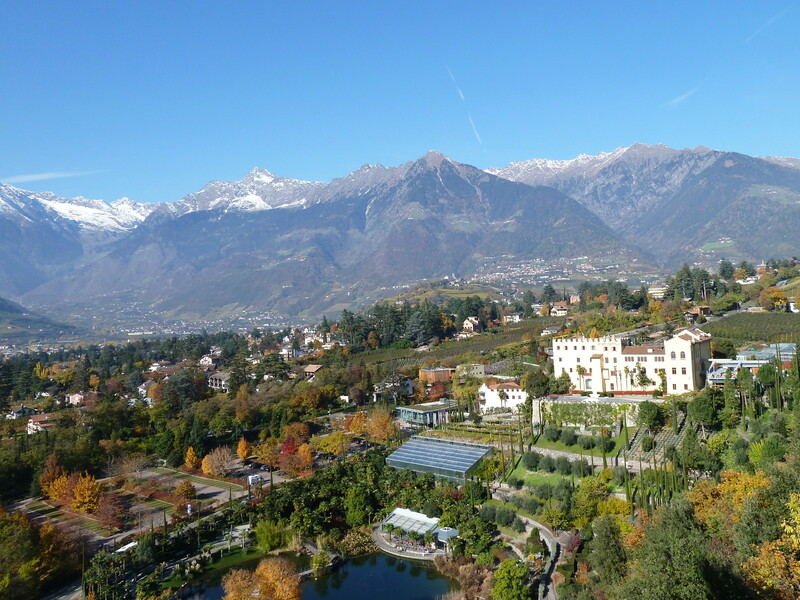 Also the Gardens of Trauttmansdorff Castle near the spa town of Merano are at their best until late autumn. 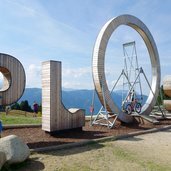 The Castelfeder recreation area above the village of Ora - known as "Arcadia of Tyrol" - is an adventurous place also for kids. 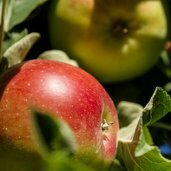 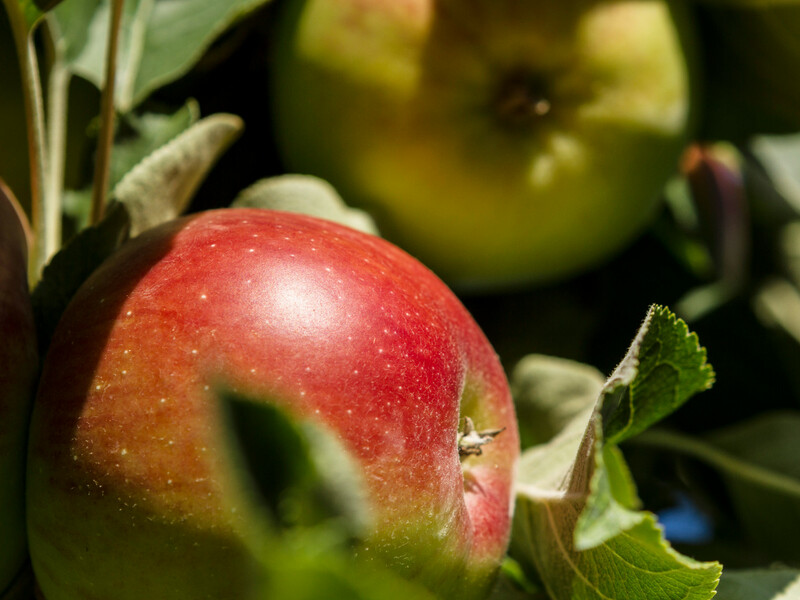 2,000 sunshine hours per year and a special climate - this is the formula for our tasty and high-quality apples. 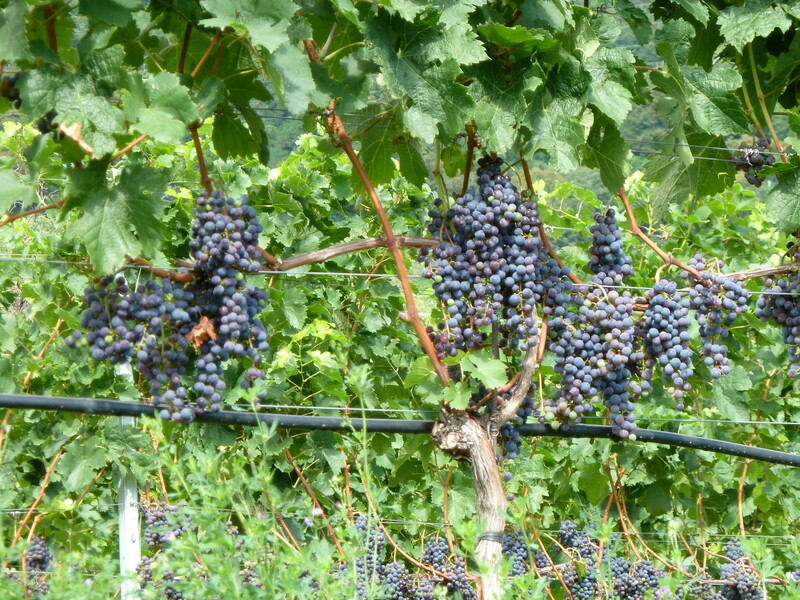 Ripe grapes along the South Tyrolean Wine Route - the vintage takes place from the beginning of September to mid-October. 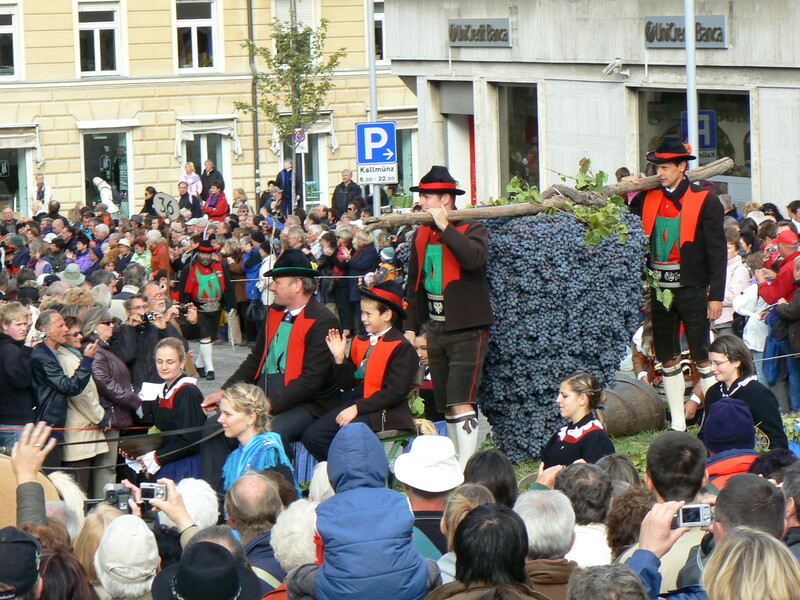 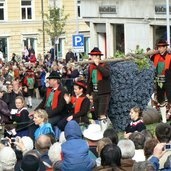 The local wine is celebrated with several festivals, including the Merano Grape Festival in October and the WineFestival in November. 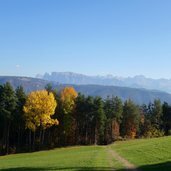 The Salto, a hiking and excursion destination, is very popular for its gorgeous wide larch meadows - in autumn a true spectacle of colours. 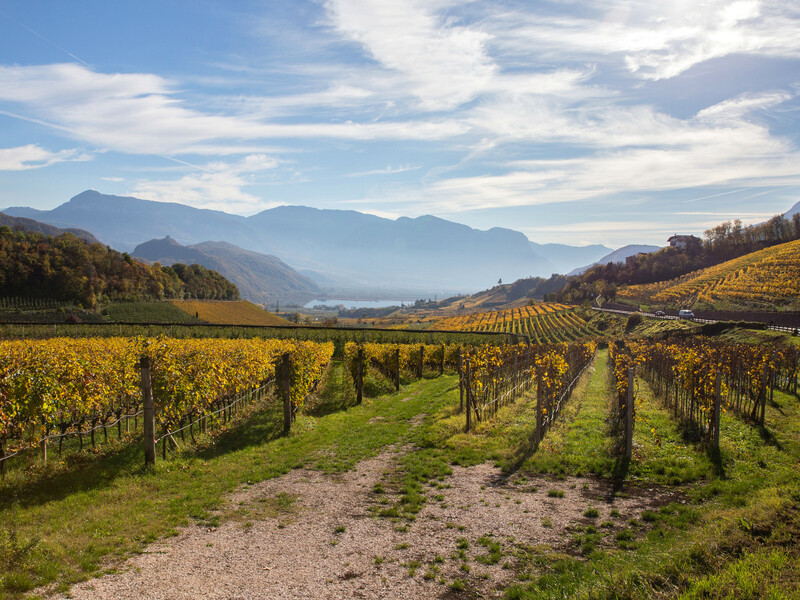 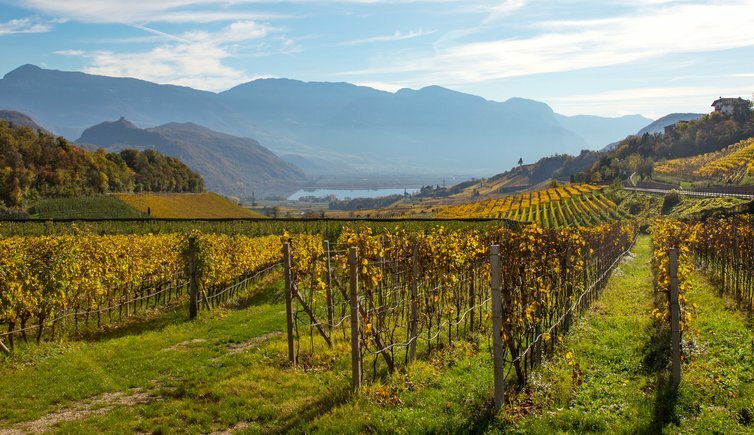 Vineyards shining in warm golden colors with a beautiful view towards Lake Caldaro and Castelchiaro Castle. 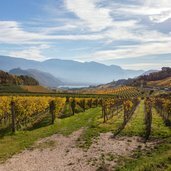 The sunny autumn days attract many visitors to Lake Caldaro, which can also be rounded in a pleasant two-hour walk. 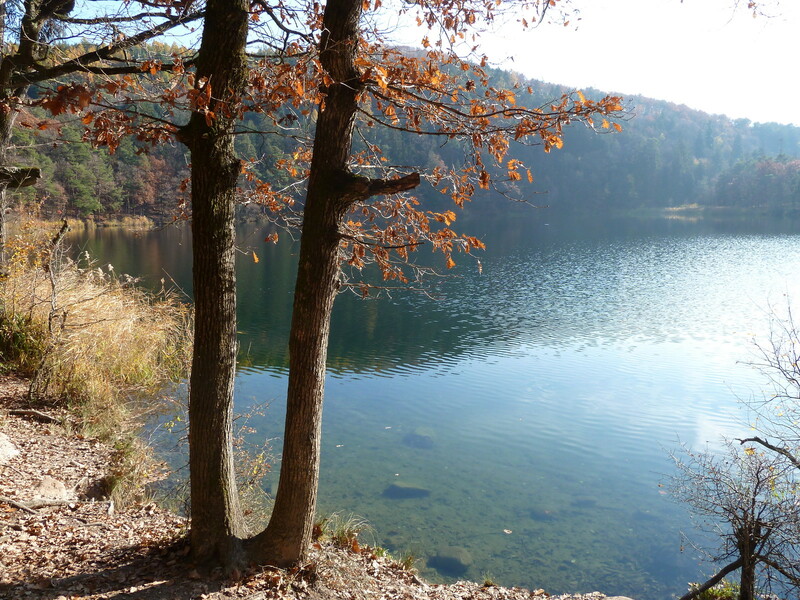 The Big and the Little Monticolo Lake near Appiano are a beautiful destination for a hike also in late autumn, here in November. 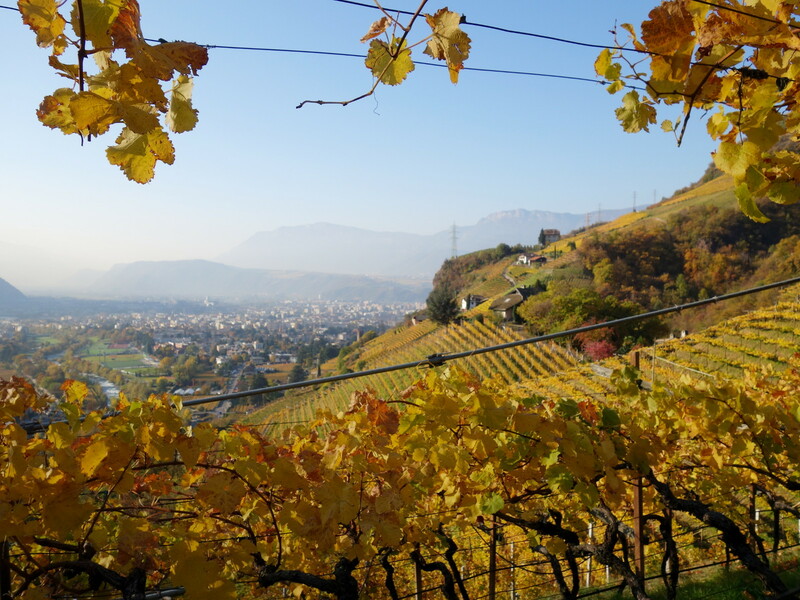 Autumn foliage around Bolzano in November… a panoramic view from the Via Rafenstein path which leads up to San Genesio. 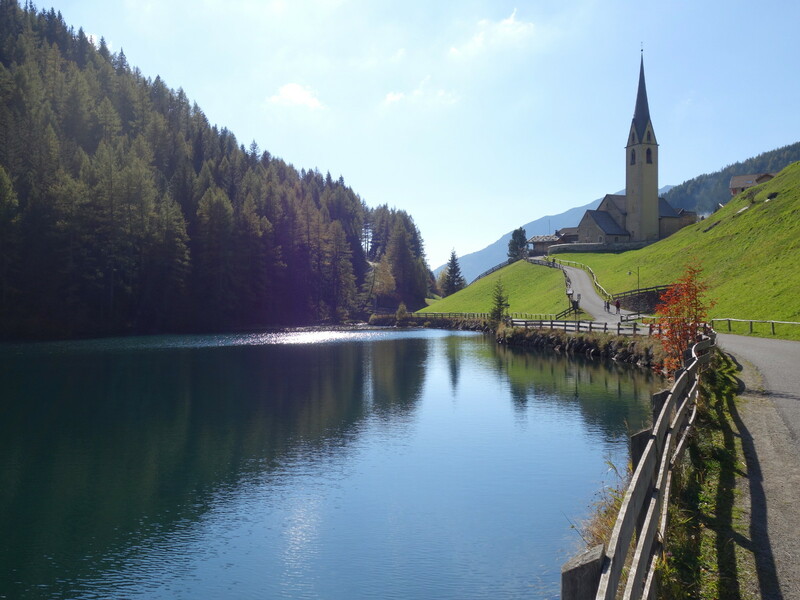 Lake Valdurna in the Val Sarentino valley - in November, temperatures reach max. 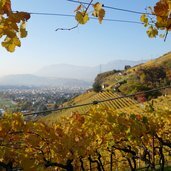 11°C in Bolzano, and 4°C at the Passo di Resia pass. 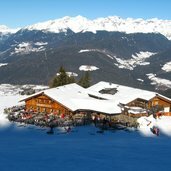 The first skiing areas, such as the famous Plan de Corones in the Val Pusteria valley, open their ski slopes already at the end of November. 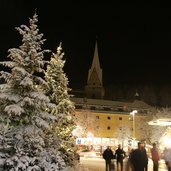 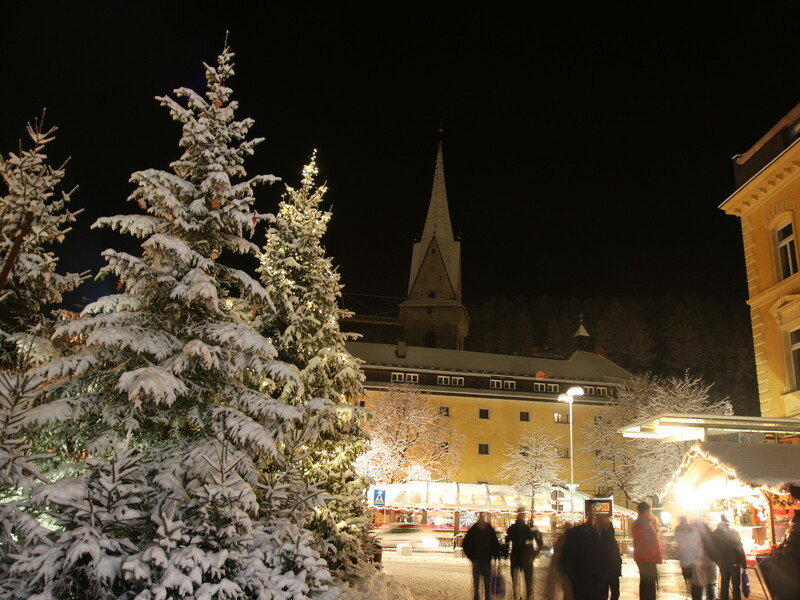 Also the Christmas Markets - here the one in Brunico - open their wooden stands at the end of November and invite to a hot mulled wine. 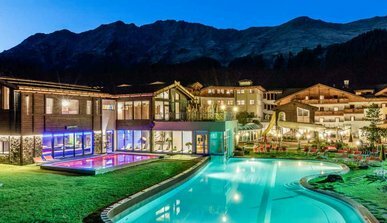 Private luxurious hideaway & spa resort, markedly close to nature. 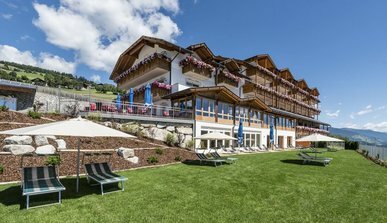 Whatever your dream holiday is, a relaxing spa holiday, excurisons and hikings in our fabolous mountains or a entertaining time with your dears, the hotel Schneeberg will make it come true. 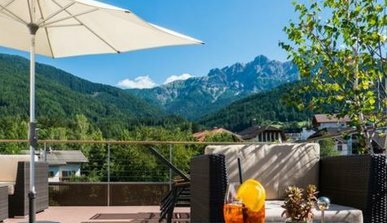 Enjoy the relaxing mountain air of the South Tyrolean mountains. 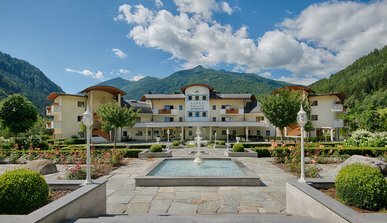 Our active hotel will be your ideal starting point to take in yourselves the whole region with body and soul. 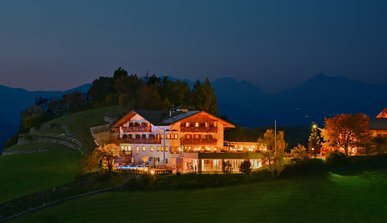 In the middle of the South Tyrolean landscape lies the Hotel Torgglerhof in a unique location, ideal for those who want to experience South Tyrol in all its natural glory. 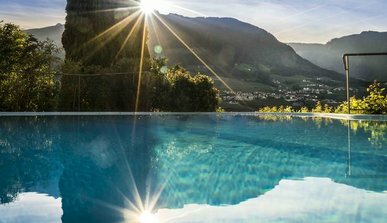 The surrounding nature offers the perfect setting for your holiday in South Tyrol. 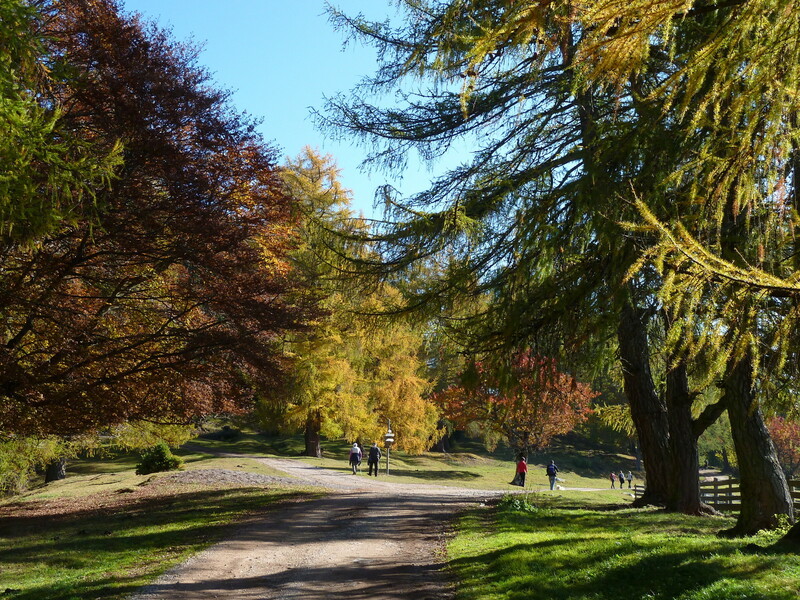 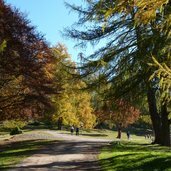 You find countless hikers, starting directly from our hotel in Ridanna/Ridnaun! 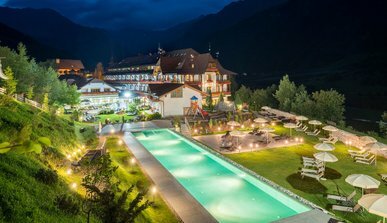 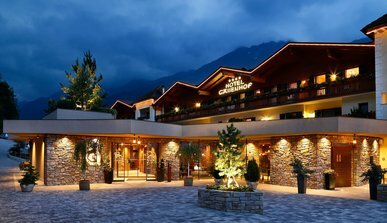 This traditional family hotel run by the Prugger Family makes an ideal starting point when setting out for exciting sporting excursions in discovery of the Val Pusteria Valley. 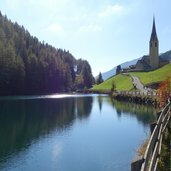 We offer our guests hiking holidays in South Tyrol in close contact with nature and that special touch. 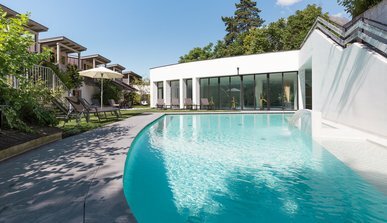 We help you to plan your individual family holidays for an unforgettable holiday adventure. 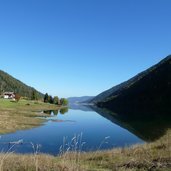 Dreams come true here, the legend of the hiking paradise - from the gentle valley plain up to the eternal ice, a autumn full of alpine grandeur welcomes you. 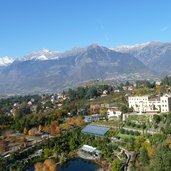 Experience wonderful moments in our house and in Merano & environs.The surroundings are characterised by an enchanting landscape and it is the perfect destination for hiking, cycling, golfing and Nordic walking.